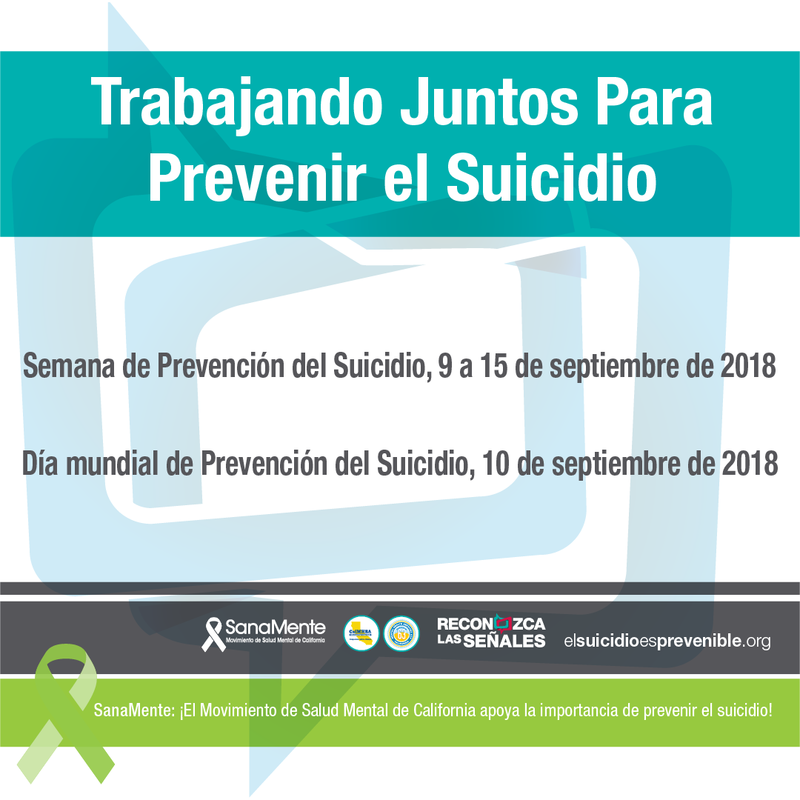 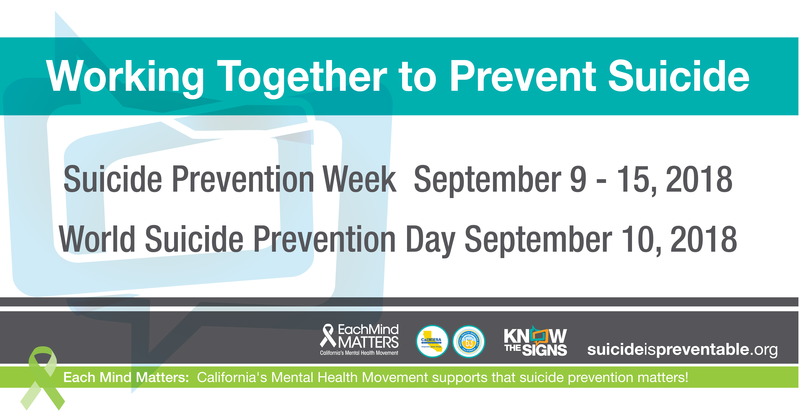 In support of National Suicide Prevention Awareness Week and World Suicide Prevention Day, Each Mind Matters: California’s Mental Health Movement is excited to share materials and resources that can assist you in planning activities and events in your county and community. 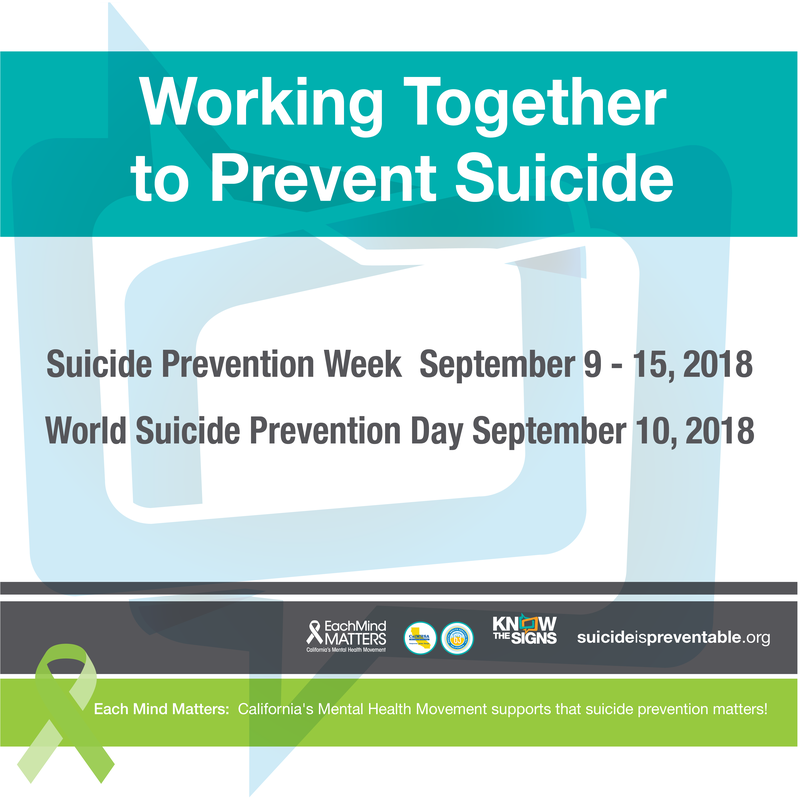 The Toolkit is organized into the following sections and resources and suggested activities can be used throughout the year, not just during Suicide Prevention Week! 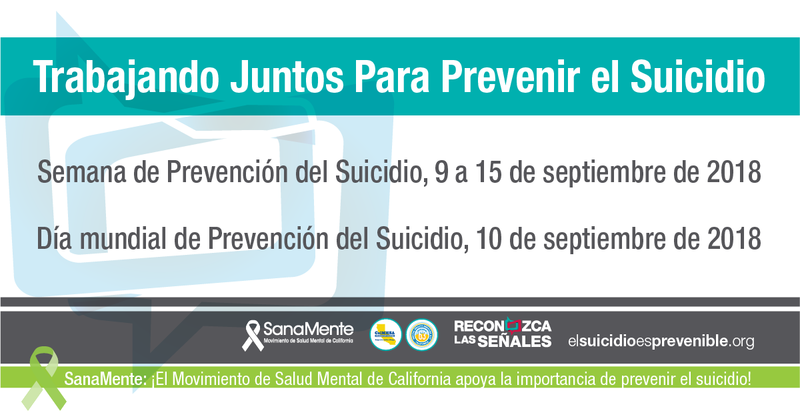 Printable hand-outs such as a Suicide Prevention Activity Tip Sheet and Each Mind Matters Resource Hand-out.